If you have managed to endure the first full week of work of 2015, congratulations and you deserve the chance to relax. 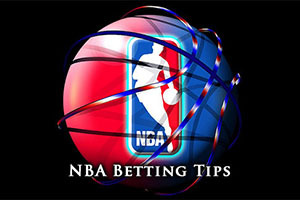 If you love the NBA, you will have plenty of opportunities to have some fun this weekend and there will be plenty betting opportunities on offer as well. Thursday night was a mainly quiet night in the NBA with only three games being played. The Raptors were defeated at home by the Hornets with the Charlotte side winning by a score of 95-103. The Trail Blazers did manage a home win, with the Portland side defeating Miami Heat by a score of 99-183. The third game of the evening was played out in New York and although the Knicks were hoping to snap out of a losing run, they found no solace in coming up against the Houston Rockets. The Rockets destroyed the Knicks with the final score being 96-120 to the away side. There are plenty of more games to choose from on Friday and if you are looking to kick-start your weekend of NBA basketball betting action, there will be more than enough options for you to enjoy. The Hawks have a 27-8 record at this point of the season and they hold a 12-5 record away from Atlanta. This would leave you thinking that they are in pretty good shape and when it comes to comparing the record of their opponents, it is clear that the Hawks are well ahead with respect to long term form. This doesn’t always tell the full story though as the Pistons will be keen to point out. The side from Detroit hold a record of 12-23 and this includes a 4-13 record in Detroit. The thing is though, the Pistons have managed to win 7 games in a row, which is one more than the 6 game winning streak that the Hawks are on. Both teams are showing excellent form but it is the turnaround in the Pistons form, who were 5-23 before they started their winning run that has grabbed the most attention. The Pistons had a tremendous 95-108 win in Dallas on Wednesday with Greg Monroe offering up 27 points, 18 rebounds and then 6 assists and DJ Augustin was able to offer 26 points from the bench. In Atlanta on Wednesday, Jeff Teague was the main man, offering up 25 points in the 96-86 win over Memphis. The Hawks are monitoring the fitness of Elton Brand but aside from him, both teams look as though they have a clean bill of health coming into this game. Something has to give in this match and one impressive winning run will fall by the wayside. The Pistons have done remarkably well to get to this stage but taking the Hawks at -3, with odds of 1.90, is likely to be a smart way to get the weekend started properly. Bet Now! The Chicago Bulls hold a 25-11 record and this includes a 14-4 record away from Boston. That is a fairly strong record for this time of the season but they are facing a team that also holds a fairly strong record. 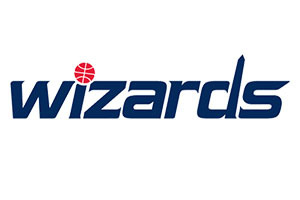 The Washington Wizards have a 24-11 record at this point of the campaign and this includes a 15-4 record in Washington. These two teams are fairly well balanced and it could be tough splitting the teams. The Bulls come into this game on a loss while the Wizards have two wins behind them. However, the Bulls have a 3-2 record with respect to their last five games while the Wizards have a 2-3 record in the same period. Derrick Rose had a poor game in the Wednesday night loss to Utah for the Bulls. He managed to miss 12 of his 15 shots, only offering up 7 points in total in the 77-97 loss in Chicago. On the same night, the Wizards had a comfortable 101-91 home win against the Knicks. Paul Pierce is being monitored by the Wizards on a daily basis while Drew Gooden is a big doubt. However, it is the injury list of the Bulls that is causing the biggest concern. Jimmy Butler, Joakim Noah, Taj Gibson and Derrick Rose are all being monitored on a daily basis while Doug McDermott and Mike Dunleavy are tipped to be out for this game. It has the potential to be an even game but taking the Wizards at -1 with odds of 1.90 is likely to be a sensible bet. Bet Now! The Suns currently hold a 22-6 record which contains a 13-9 record away from Phoenix. For the reigning champions, their record stands at 21-15, and this includes a 12-6 record in San Antonio. The Spurs lost their last match but the Suns come into this with a four game winning streak behind them. The Suns hold a 4-1 record in their last five games while the Spurs hold a 3-2 record. The Suns have won two games on the road, a 96-102 win in Millwaukee on Tuesday and a 111-113 win in Minnesota on Wednesday and after they take on Spurs, they head to Memphis on Sunday. The Spurs are one of the many clubs that have been surprised by the Pistons of late but on Tuesday, it was all their own fault. They had an 18 point lead at one point and held a 3 point lead with 10 seconds on the clock but they still managed to throw it away in a game that ended 104-105 in favour of the away team. The Spurs need to get that bad defeat out of their system. There are no significant injuries listed for either team and while it is likely to be a close game, taking the Suns with a +5 handicap, at odds of 1.90, for this game could be what you need to get the weekend started in the best possible manner. Bet Now!